VoIP stands for Voice over Internet Protocol. It is also sometimes referred to as Internet calling, Internet telephony, and IP telephony. VoIP is an alternative method of making phone calls that can be extremely cost effective. In VoIP, your voice is converted into digital data that can be subsequently sent over the Internet like any other type of data. The best way to think about it is how your Internet connection transmits all kinds of things including instant messages, emails, web pages, faxes, etc. The only difference, in this case, is that it is voice being transmitted as data in digital format. VoIP is however not without its myths. Some people make the mistake of believing that VoIP is just about making inexpensive calls. While it is true that VoIP can be the most economical means of making calls, another major benefit is that long distance calling can be completely unrestricted. This opens the door for an entirely new range of services possible. VoIP calls are considered free because they are already accounted for in the broadband subscription. When making a call over the Internet, the voice is converted into data and transmitted like any other packet of data via an Internet connection. Just like email and web surfing there’s no pay-per-usage fees. Even further, if you contact another individual who also uses VoIP, it will be a free call-regardless of their location in the world. VoIP offers many benefits over the traditional phone system. Cost is the main reason why many individuals and companies are massively turning to VoIP. VoIP is a great way to lower communication costs between branches, include a plethora of features, and enhance interaction between customers and employees. VoIP all but guarantees a system of better quality and efficiency. For independent professionals, VoIP is not only responsible for transforming voice calling worldwide, but it also provides a means for individual users to operate from a home-office without the need for an entire phone system. There is an assortment of factors that will conclude which system is right for you. Whether you’ll be making calls mostly from a corporate network, from a home office, while traveling, or a combination of all the above, will determine the appropriate course of action. How you will make those calls will depend on the VoIP service that you choose. VoIP’s features can be implemented in a variety of different ways. One great thing about VoIP is that, provided you have the bandwidth to support IP calling, it allows you to tap additional value from your already existing infrastructure without any extra costs. VoIP can replace Plain Old Telephone Service (POTS) completely, lowering monthly service costs. It is for this reason that businesses mostly see the value in VoIP. Companies that have chosen VoIP to replace POTS, lower their communications costs substantially. VoIP is relatively new, but is has fast become widely used and accepted. However, there is still room for improvement, and you can expect much technological advancement in VoIP in the near future. VoIP has proven to be a worthy replacement for the business telephone system in many applications, but like any other system, it has its drawbacks. Whether it is advantageous for a particular business to make the transition can only be determined by an assessment of the current communications landscape of a firm. VoIP is not a suitable solution for every enterprise. Its increased use worldwide has led to a dramatic increase in calls, summoning a tightening of its security and regulations surrounding its use; this too can be a determinant in whether it is the appropriate solution for an institution. The growth in the popularity of VoIP is comparable to that of the Internet in the early 1990’s. Individual users and businesses alike are becoming more conscious of the benefits they can reap from VoIP. VoIP not only helps you to conserve resources, but it can also help to generate more revenue. This of course is contingent on your ability to tap into its innumerable advantages. VoIP is the future of communication, and it is up to individuals and businesses alike to determine if it can add value to their technological infrastructure. As mentioned, the greatest strength of VoIP is that it allows you to achieve much more than a regular telephone network while spending much less. 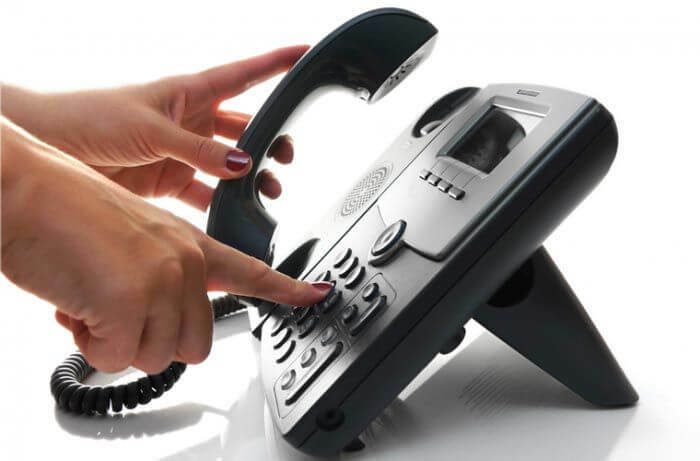 If you would like to learn more about VoIP, want to find out if it’s right for you, or are looking to have a VoIP system installed at your place of business, contact Ohio Voice Data Cabling today. When you love what you do for a living, it can hardly be called work. We're passionate about our vocation and it shows. Our mission is to deliver distinct value, effective communication, unrivaled service, and extraordinary results.